Lets start with the main one, witch went out to the full Bad Dragon Mailing list though icontact. 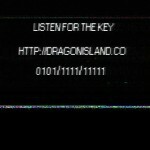 Every link in the email points to an Guest Access Error page on the new Dragon Island website. No clue if you can do anything else from this URL to get more information, But I hope there is. “A: /> setup.bat” – Just for show, or hints on a URL file location? “Updating Setting Files 165 . . .” – The “165” in this is colored to match the background of the email, making it invisible, Could just be a coding error when they built the email. I don’t think it has any other meaning. 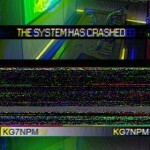 “Fatal system error: CRON has malfunctioned, please evacuate the island as soon as possible!” – Another bit of hidden text. The email has the word “Cron” a lot in it, at first I though it was to make the email look like it was automatically generated by a cron job. Now I think this is the name of the next toy to be released from Bad Dragon’s Dragon Island campaign. The 2nd forum email came an hour later. Now this email has a lot to decode. “cron malfunction pattern recognized” – Another references to “Cron” witch sounds like a name rather then a program term. “whiterabbit.obj” – Being a white rabbit my self, this part really got me excited. In the first Jurassic Park movie; Whte_rbt.obj was a computer virus-like backdoor programmed into the system by Dennis Nedry, which led to the Isla Nublar Incident. Dragon Island being a Homage to the Jurassic Park series and the upcoming Jurassic World movie, this connection makes sense. “f=126&t=30265” – Same Url query parameters we saw in the last email. “bit.ly/1HdqjdY” – Leads to the same QR code from the main email. 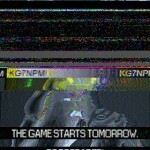 Cant be sure, but I believe that at the date and time listed in the QR code a new toy will be announced, Cron’s toy. As for the radio channel and encoding, I could see them doing a “fox hunt” and the first person to find the transmitter getting the first Cron, or a coupon. 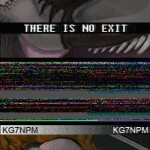 The only problem I have with this theory is it that a lot of the encoded hints would just be useless, and sending out 3 emails to your entire fan base when only a few will be at Biggest Little Fur Con; even fewer will have the necessary equipment for a Fox Hunt to begin with (I only know of 2 people going who do.) Would give this marking plan a very limited scope. 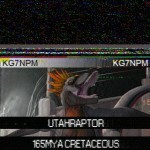 We have some photos, looks like Cron is a Utahraptor!